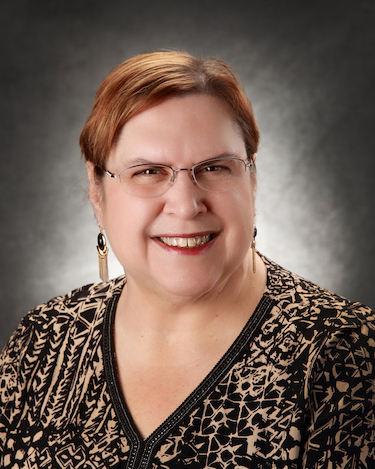 Kathy Buttermore is the Director of Academic Achievement and a Professional Associate Professor of English at Walsh University. She holds a B.S. and M.A.from Bowling Green State University in English. Buttermore has been with Walsh since 1989. She assists students on academic probation, ensuring that they complete an Action Plan and meet the established tutoring and counseling requirements, as well as helping those who need it to register for General Education 115, Study Skills On Course. In addition, she works with students who must do the Federal Financial Aid Appeal, SAP, in order to attempt to restore their federal aid. Buttermore, Kathleen M. "Building a Partnership between Faculty and the Academic Resource Center." Ohio Association for Developmental Education Conference. (OADE) Marietta, OH. 21-23 Oct. 1998. Buttermore, Kathleen M. "The Emerging Clientele: At Risk Students, Basic Writers, and the Learning Disabled." 20th Annual Conference for the East Central Writing Centers Association. Walsh University, North Canton, OH. 8 May 1998. Buttermore, Kathleen M. and Jan Walker. "De/Stressing College: a Report on the Use of the OADE Grant." Ohio Association for Developmental Education Conference. (OADE) Toledo, OH. 5-7 Nov. 1997. Korcuska, J., K. Buttermore,and C. McKeon. "The Summer Scholastic Enrichment Program: Cross-Cultural Collaboration for At-Risk Students." The National Conference on College Composition and Communication. Boston, MA. March 1991. Korcuska, J., K. Buttermore, and C. McKeon. "The Summer Scholastic Enrichment Program: Cross-Cultural Collaboration for At-Risk Students." Statewide Colloquium on Collaborative Learning, Toledo, OH. March 1990. Conference Chair, National Association for Developmental Education (NADE). March 2010.